Comics Commentary: Mattotti illustrates Lou Reed's "The Raven"
An edition of Lou Reed's The Raven (based on his 2003 record) illustrated by Lorenzo Mattotti has been recently released in Europe. And it seems an English-language edition will be available from Fantagraphics next year. 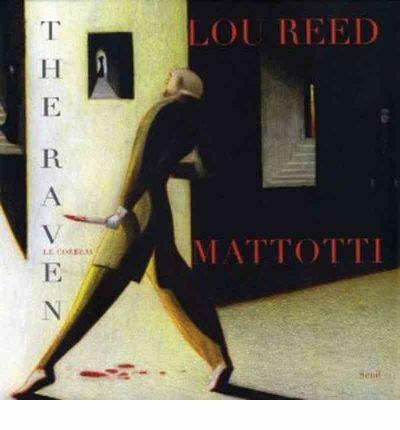 The story behind the book: in an article published in publico.es, Mattotti tells how Lou Reed phoned him a couple of years ago, telling him he loved his Jekyll and Hyde book and that he wanted him to illustrate Reed's book. It seems Reed and Art Spiegelman share the same literary agent, and that Spiegelman pointed Reed in Mattotti's direction. All of the above came to my attention when I stumbled upon a news account about Reed having fallen asleep during a presentation of the book (while Mattotti was speaking). Here's hoping the book comes out at the scheduled date, despite the .. er ... skepticism of some regarding the publisher's publication dates. A PDF preview of the Spanish-language edition can be downloaded here.